UK boys Treacle & Co get things rolling for Spring with a threeway drop, comprised of 2 T-shirts and a lightweight jacket. The mini drop has a partly fixed gear inspired theme, evident from more than just the props in the shoot, so this could be one for the bike heads amongst you. 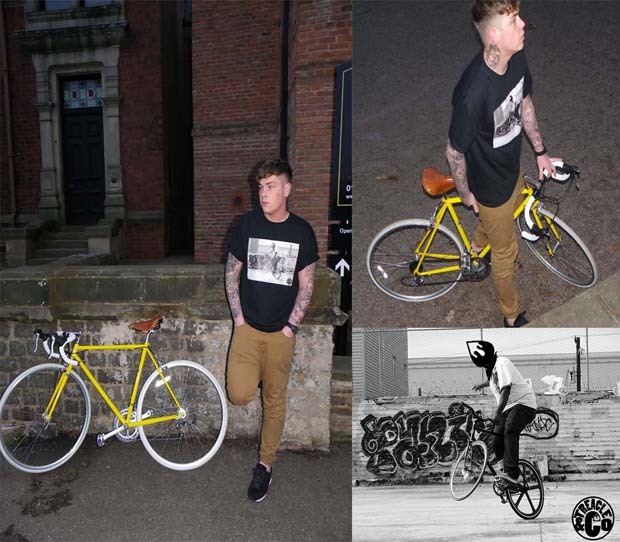 The white ‘Box’ tee features a black box screen-print, with the Treacle drop logo inside, but it’s the ‘Fixie’ tee where the obvious bike theme comes into play, with a screen-printed photograph of someone getting tech on the saddle. 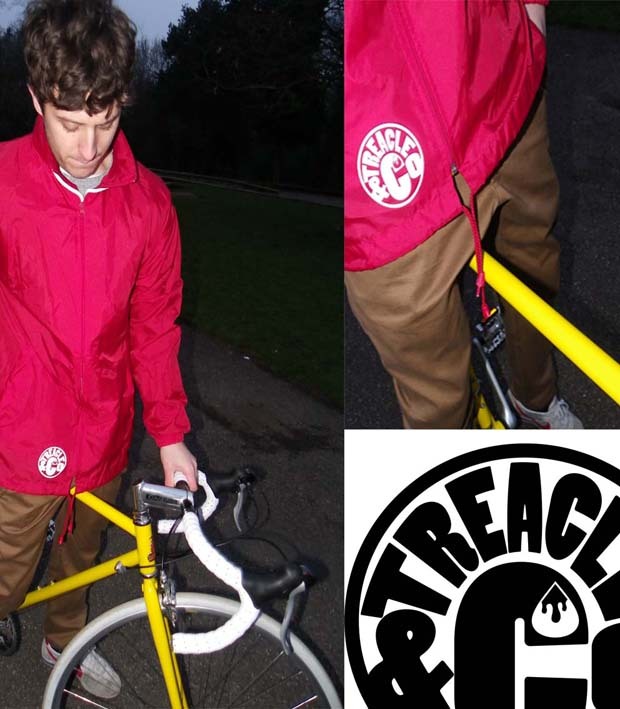 Finally, the drop is completed by a red rain mac – utilising both red and white cord, the jacket is plain and simple, with a small Treacle logo on the bottom right, and will be ideal for keeping you dry whilst out on the wet roads. 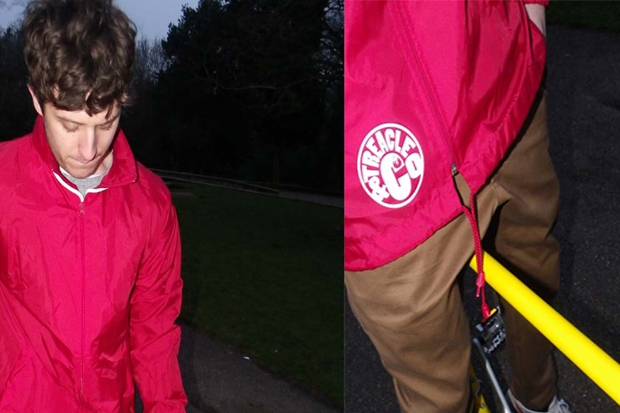 A nice effort from Treacle – it’s good to see the brand venturing into other garments, and not just another varsity jacket, and although we can’t say much for the quality just yet, there’s definitely good potential. 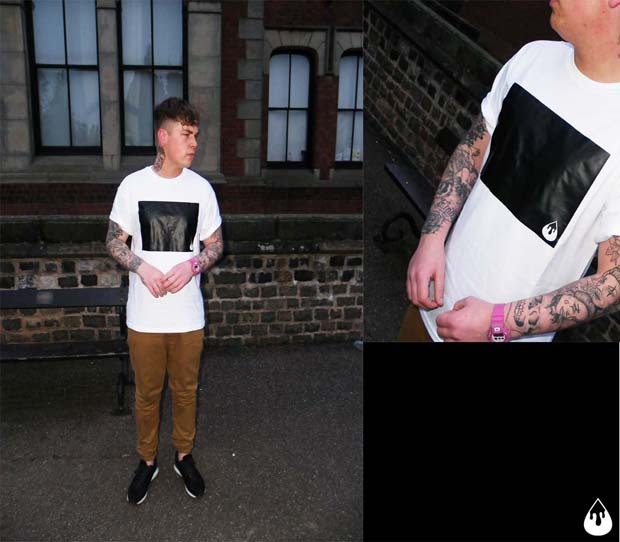 Grab yours online from Treacle & Co as early as next week.